This is the brains or hub of REALITi. The iPad in the yellow bag is a 12.9 inch iPad Pro and hence have the greatest processing power of the REALITi system. It is also the iPad most likely to be connected to mains power. Therefore, the Monitor application would be doing the majority of the processing in REALITi. 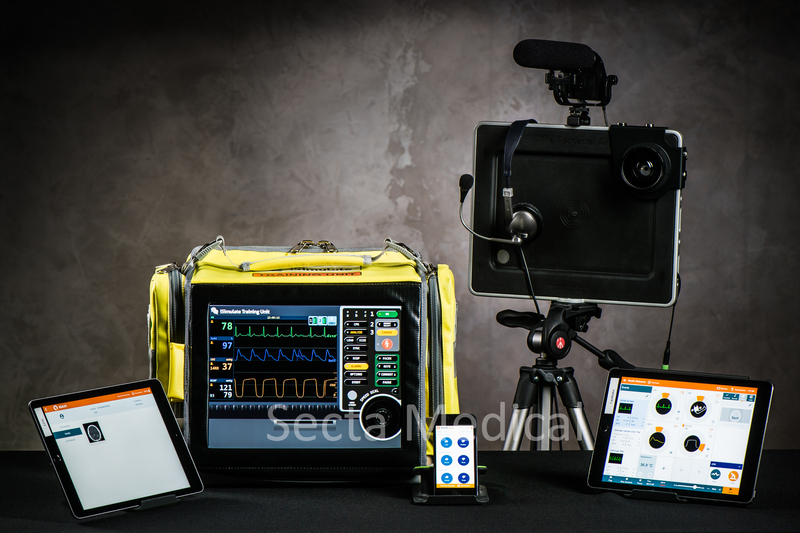 As a display, the Monitor app is designed to mimic modern monitors, defibrillators and AEDs. These were chosen for specific reasons. 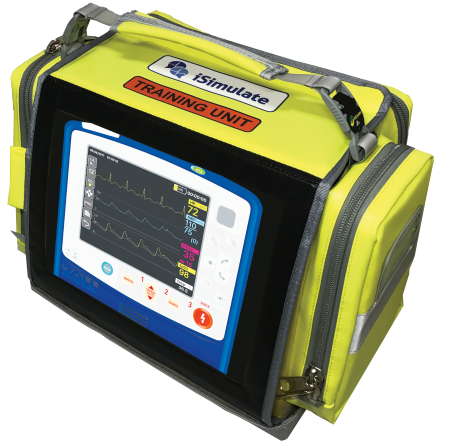 Zoll wanted to work with us and the other 3 screens are what the current ALSi Monitor, AED and Basic Numeric screens are based on. More manufacturers screens will be added over the coming months. The next one will probably be the Corpuls. REALITi Control in the new Facilitator. It does everything that ALSi Facilitator can do and a whole lot more. Eventually, Chart will allow students to create progress notes. REALITi Camera is our version of an integrated live video streaming, recording and playback system. It relies on a number of pieces of hardware to function. A Moment video is 10 seconds prior to and 20 seconds subsequent to the time the flag/checklist item, etc was pressed. Designed to be used on a smartphone, REALITi Engage will allow the observers watching the simulation on Apple TV to react and engage with the simulation. Based on contemporary social media style interactions, observers will be able to add emoticon style Reactions and comments. You can make an appointment to see REALITi in our showroom in Dordrecht, the Netherlands, all our other products can also be found in our showroom.